The Department of Oral & Maxillofacial Pathology & Microbiology & Forensic Odontology lays the foundation to the course of Dentistry. We strive our best to pave the way for learning for our graduate and postgraduate students. Multi-faceted approach for better understanding is achieved by involving the students in a variety of classes and didactic lectures, discussion, conferences, postings and clinical exposure. At the same time, inculcating in the students a sense of ethics, integrity and loyalty along with skill development is also given importance. Undergraduate courses caters a variety of topics in Dental Anatomy & Histology, Oral Physiology and Oral Pathology along with Oral Microbiology and Forensic Odontology, which is introduced and thought by staff from different universities with varied exposure and experience. A teaching programme rich in presentations with practical applied aspect is regularly used, maintaining a good student-teacher ratio at all times. The postgraduate courses encourage a sequential learning from Basic Sciences to applied aspects of Oral Pathology Reporting, Oncopathology & Research, and Forensic Sciences. We take up upcoming and recent scientific topics for research & literature review. 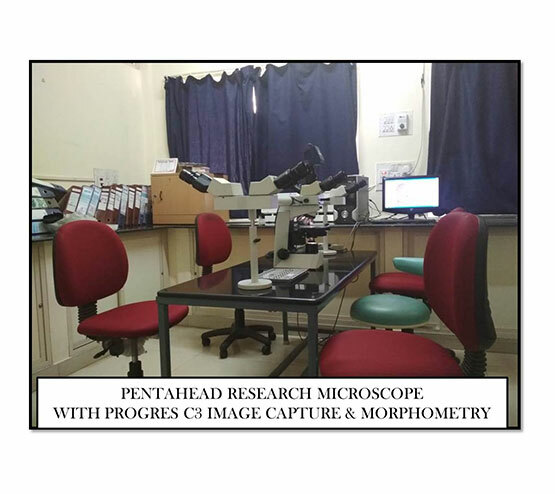 The students are trained in reporting of Oral Pathology, Microbiology and Oncopathology pertaining to the Head and Neck region.They are also encouraged to gain proficiency in recent laboratory techniques. Equal development and skill is also encouraged so as to generate and achieve an experience and expertise in research methodology and research itself. The Department houses one of the best speciality Libraries and a Basic Research Laboratory to take up any research topic. A seasoned Histopathology and Hematology laboratory also caters to the Department. Interns and post-graduates are trained in Clinical as well as Laboratory procedures/techniques associated with the subject. The Department also is a stronghold of an 18-year-old slide registry with rare and interesting cases. The staff get down to the student’s forte to teach them and strive hard to take them up the learning ladder effectively. Teachers from different universities contribute to their learning experience in molding the students. The department stands tall on its achievements and at the same time gels with the other specialties for perfect learning and patient service. To contribute excellent patient care by providing comprehensive, high-quality clinical service, research, and education. The department will support strategic programmatic development and will be a focal point for clinical support, research support and educational activities. The department will be a destination for the best trainees and faculty. To be a leading resource for excellence in diagnosis and laboratory evaluation based on a foundation of research and education. To generate new knowledge through relevant research. Support and lead programmatic research. Stimulate a critical approach to guide students in the process of independent learning, thereby contributing to the delivery of competent newly graduated Oral Pathologists. Provide diagnostic pathological services of the highest quality. Create a stimulating and pleasant environment in which students and personnel can thrive. To ensure optimal care through accurate diagnosis and management of diseases and abnormalities of the oral and maxillofacial region. To provide the state of the art, comprehensive consultation, and tissue diagnostic and reporting services to hospitals, clinicians, private practitioners in dentistry and medicine. To provide a center for teaching and dissemination of knowledge through its archived collections. Provide the highest quality diagnosis in a timely and efficient fashion. Expand the outreach of the department through its reference laboratory by providing a full and comprehensive range of services and to be a primary resource for the most advanced and differentiating technologies. Fulfill the core mission of providing excellence in service, research, and education in partnership with the clinical and scientific programs, and through addressing the priorities and needs of the college, key programs, and the community. The Department of Oral Pathology lays a solid foundation to the learning of Dentistry by teaching Dental Anatomy & Dental Histology and Oral Pathology strengthening the tenets of practice. Undergraduate and post-graduate both are trained to increase their caliber in profession acumen and practice of Oral Pathology, Microbiology and Forensic Dentistry always keeping in perspective skill development, teaching, academics and research projects. A multi-faceted approach is taken for theoretical and practical teaching allowing the growth and creativity of the student. The Department of Oral Pathology has a keen eye and mind to be research oriented. The Department houses a basic research unit which is an extension of its Histopathology laboratory. 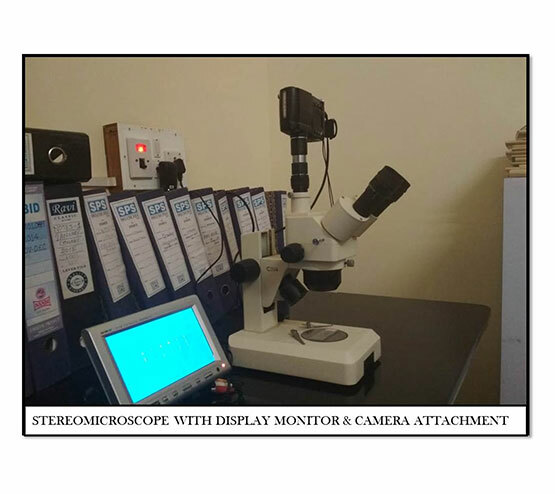 The Histopathology lab is supported by a high end Research microscope with user friendly multihead attachment. 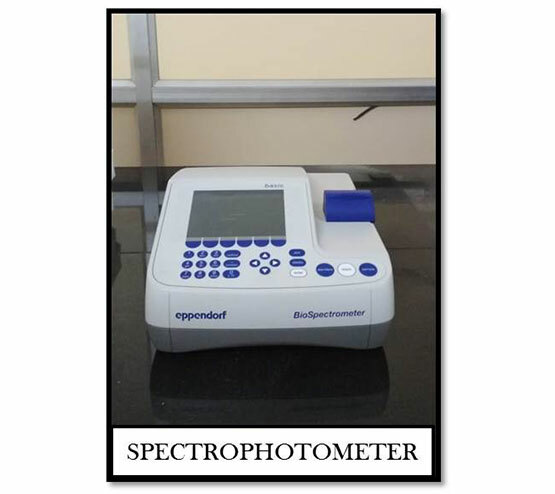 It is inclusive of a phase-contrast, dark field, polarising and fluorescent microscopic features; all of which is supported with the latest softwares in morphometry. The laboratory provides the facility to performing immunohistochemical (IHC) studies with standard protocol which has already suuported numerous department and grant based studies. 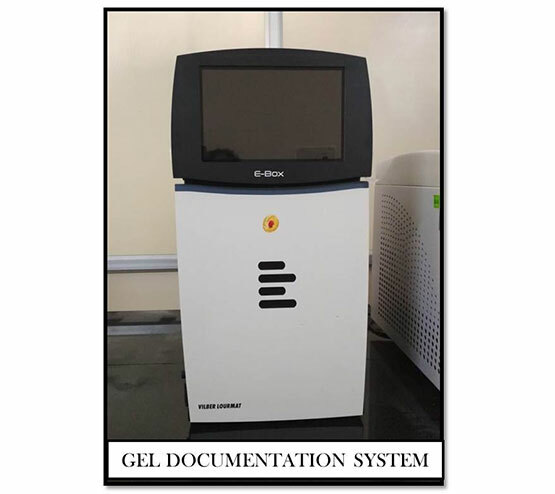 An advanced set-up of a molecular lab with a PCR thermocyler, Gel Documentation system and biospectrophotometer is available. 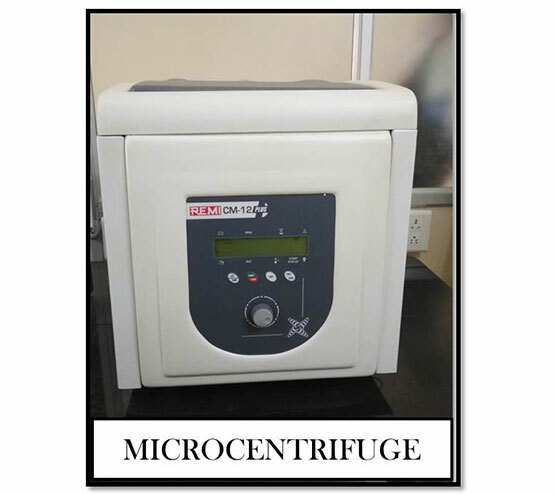 An array of supporting apparatus for various methods and protocols including vortex machine, centrifuge(mini and micro) and Tissue homogeniser are also available. 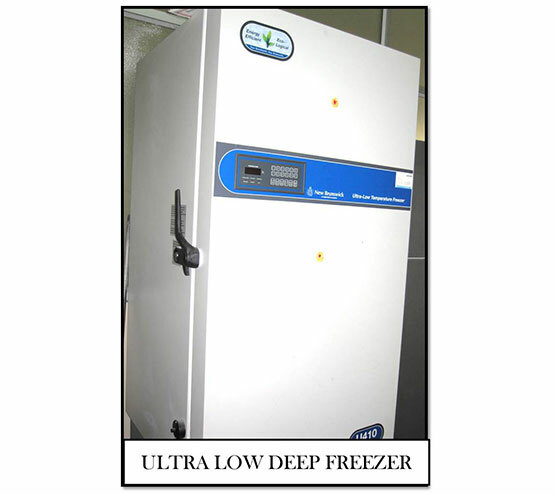 An added advantage and feature is to have a -80°C storage system which can house 1000 samples at any time. 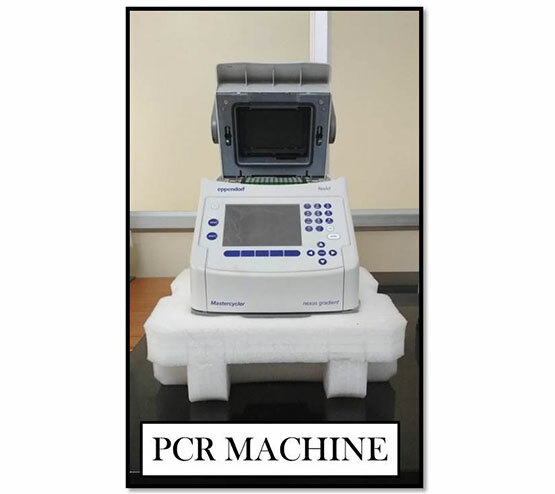 This set-up makes a very compact, contemporary, comprehensive molecular laboratory for various specialities. 1. The Editorial Board of National Journal - Journal Of Oral And Maxillofacial Pathology, Indian Association Of Oral And Maxillofacial Pathologists was housed in the Department during the year 2013-2014 and 2015-2016. 3. Conducted SCREENING CAMP organized by Rotary Bangalore Spandana on 21st Sept 2014 at Government School Anekal, Bangalore Urban District. Dr. AFREEN NADAF - secured 2nd Rank in Rajiv Gandhi Universities of Health Sciences Post-Graduate Examinations in the year 2012 in the subject of Oral and Maxillofacial Pathology & Microbiology. Session Best Paper award- “The synergy of tobacco and alcohol and GSTT1 gene and oral squamous cell carcinoma” at XXII National Conference of Indian Association of Oral and Maxillofacial Pathologists, held at Mumbai from 8th – 10nd November 2013. Second Prize for Poster- “Special stains in grading oral submucous fibrosis” at XIII National Postgraduate Convention of Indian Association of Oral and Maxillofacial Pathologists held at Tirupathi on 10th July – 11th July 2013. First Prize- best Photomicrography at XXIII National Conference of Indian Association of Oral and Maxillofacial Pathologists, held at Bangalore from 28th – 30th November 2014. Second Prize- Poster “Special Cell: Special Stains” at XIV National Post Graduate Convention held at Kolkata on 19th - 20th July 2014. Session Best Poster Award- “Cell Block: Harvesting Delight with Histological Power” at XXIII National Conference of Indian Association of Oral and Maxillofacial Pathologists, held at Bangalore from 28th – 30th November 2014. Session Best Paper award- “ Silencing of DNA repairing gene MGMT in oral squamous cell carcinoma” at XXIV National Conference of Indian Association of Oral and Maxillofacial Pathologists, held at Jaipur from 20th – 22nd November 2015. Session Best Paper award- “Quantification of Porphyromonas gingivalis in chronic periodontitis patients associated with diabetes mellitus using real time - PCR” at XXIV National Conference of Indian Association of Oral and Maxillofacial Pathologists, held at Jaipur from 20th – 22nd November 2015. First Prize- best Microscope Gen-Next at XXIII National Conference of Indian Association of Oral and Maxillofacial Pathologists, held at Bangalore from 28th – 30th November 2014. Best Poster Award-“Magnificence of Multinucleated Giants in Histological Battle Field” at XV National Post graduate Convention of Indian Association of Oral and Maxillofacial Pathologists, held at Vadodara, Gujarat on 11th& 12th July 2015. Best Paper Award- “Adjunctive Role of Dental Restorations in Personal Identification of Burnt Victims” at XIII National Conference of Indian Association of Forensic Odontologists, held at Mysore on 19th&20th September 2015. Session Best Paper award- “ Enigmatic recurrent parotid mass – Case report” at XXIV National Conference of Indian Association of Oral and Maxillofacial Pathologists, held at Jaipur from 20th – 22nd November 2015. Best Paper award- “Oral squamous cell carcinoma – a multidisciplinary approach” at OOO Symposium, held at Oxford dental college, Bangalore on 12th April 2016. Best Paper award- “DNA methylation and its application in determination of epigenetic age of individuals” at XXVI National Conference of Indian Association of Oral and Maxillofacial Pathologists, held at Bhubaneswar, Orissa from 17th – 19th November 2017. Best Paper award- “Immunohistochemical expression of mTOR & ERCC2 in potentially malignant disorders” at XXVI National Conference of Indian Association of Oral and Maxillofacial Pathologists, held at Bhubaneswar, Orissa from 17th – 19th November 2017. Best Paper award- “Assessment of mandibular arch length discrepancies in the present generation – 2017” at XV National Conference of Indian Association of Forensic Odontologists, held at Bangalore from 9th – 11th September 2017.